She worked hard for this. Imagine the look on her face when she opens a gift of an Inspired Endurance diamond charm or bead. We are pleased to offer an exquisitely crafted selection of affordable sterling silver marathon and half marathon charms with diamonds. Backed by our 100% Guarantee, you can't go wrong with one of these classic pieces for her collection. Our smart leather cord necklace with a secure gold filled lobster clasp gets more supple with wear. Our 14kt gold charm and pendant selections really stand out from the rich black coloring, offering you dazzling looks! An Inspired Endurance Exclusive: You have trained hard and what better way to reward yourself than a classy charm with a 1.5pt diamond? Your choice of 12 genuine gemstones with sterling fittings for the perfect accent to your piece. 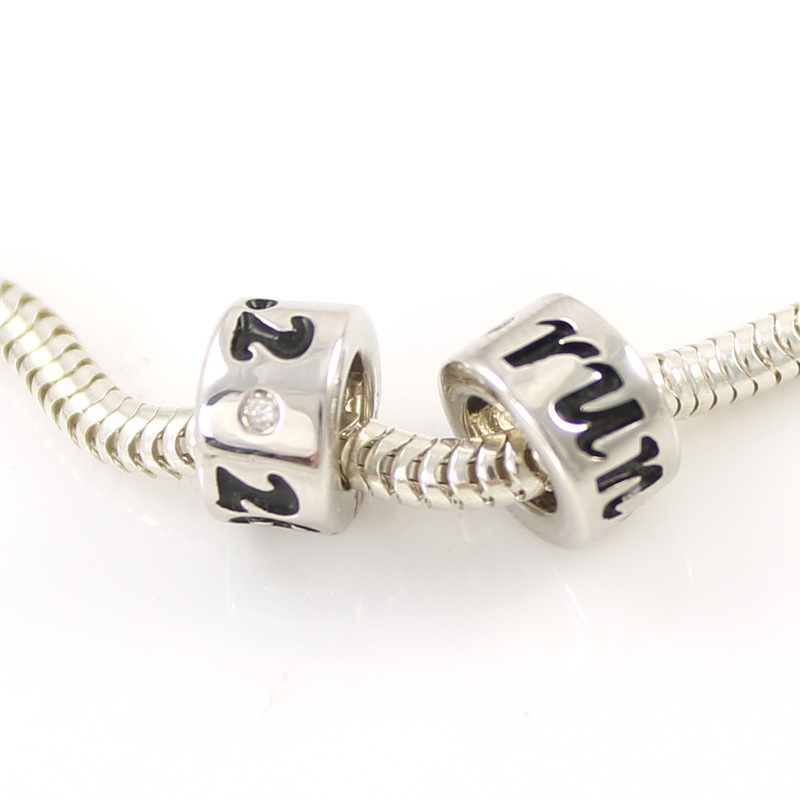 Whether its your favorite color, your birthstone color, or your team color, this is great when clustered with other charms.